Peacefully established at the foothills of the Kumaon ranges, Camp Forktail Creek is a perfect place for those who are looking for a luxurious stay in Jim Corbett National Park. Every room in the campsite has a private sit-out and veranda. The two storied Machan perched in the campsite beckons you to read a book or just slip into serenity. Best about the resort is that there is no electricity, during evening hours the campsite stars like a shine with the help of oil lanterns and free moving fireflies. In addition, you can indulge in fishing, jeep safaris, and bird watching trails. The lounge and dining area inside the campsite offers suitable food for everyone. – There are eleven luxurious tents and eight safari tents in the camp periphery. All the camps have a wooden foundation. – There is no scope of electricity inside the camp rooms. During evening hours, all the rooms are enlightened with the help of a lantern. – There is a dining area inside the campsite premises knows as Thatch, crafted and designed with locally available grass and wood. Inside the hut, lighting is done with the help of oil lantern. – Resort organizes facility like bird watching, elephant safaris, treks, jeep safari, etc. – Machaan inside the campsite is a two storey building with a lounge on the lower floor and a spacious library on the second floor. Ever want to experience, how does it feel like to stay in a tent? Then, you just have to book a stay in Camp Hornbill in Kyari region. 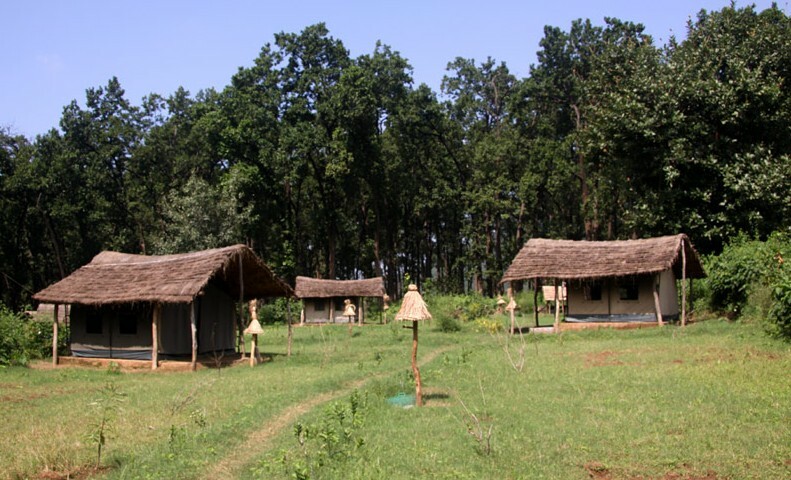 The campsite is calmly set against a beautiful scenic view of the lush green jungles. There are multiple tents inside the camp, facing each other and in the middle of the campsite, there is a ‘Chaupal’ where game and team building exercises take place. USP of the campsite is its area. Kyari is one of the starlet places in Corbett where migratory birds are spotted in large number. So don’t be shocked, if early morning a kingfisher greets you with a smile on your bedside. – Rooms in the campsite are made typically in the form of the tent with two beds made of ropes offering comfort in the meadows. – The camp serves delicious vegetarian food. – There are WC toilets and bathing tents inside the campsite. – Nature walks, wildlife expeditions and team building exercises are arranged by the authority. Jim Jungle retreat was once the hunting ground of many wildlife anglers. Later in 1936, a camping site was established here. Camping in Jim Jungle’s retreat is synonymous with an adventure along with luxury- hardly untouched and difficult to reach. The retreat brings you a luxurious version of camping as it is furnished with a fine dine, swimming pool, spa centre, nursery and boutique. The entire complex -lounge, spa, swimming pool is connected with a criss-cross pathway, under the canopy of the forest trees. The campsite is sprawling over an area of 15 acres has 18 sophisticated lodges in its periphery. After a day in the wilderness, you can refresh at the in-house spa or indulge yourself with a four-course scrumptious meal offered by the expert chef of the hotel. If you wish to venture outside this environmental paradise, then hop on a jeep or elephant safari, organised by the camp representatives. To have a complete wildlife experience with the comforts of a star rated hotel, staying at Jim’s Jungle Retreat comes as an obvious choice. – There are 23 tents inside the campsite, divided into three types-safari tents, jungle cottages and lodges. Each and every tent is crafted and designed keeping in mind the interiors of oldest forest bungalow and lodges. – Apart from the basic washroom facilities, there are televisions, refrigerators, study table and other things required for daily usage. – Inside the periphery of the campsite, there is a swimming pool, nursery, spa center dining and boutique. – Adventure activities like rappelling, fishing, jeep safari expeditions, angling, jungle walk and bird watching trails can be arranged on request. – Telecom facility is available in each and every room. Camp Kyari Walk. Bird watch, read, stargaze, put your feet up and just be yourself. A full jungle experience in Camp Kyari can leave you enthralled. 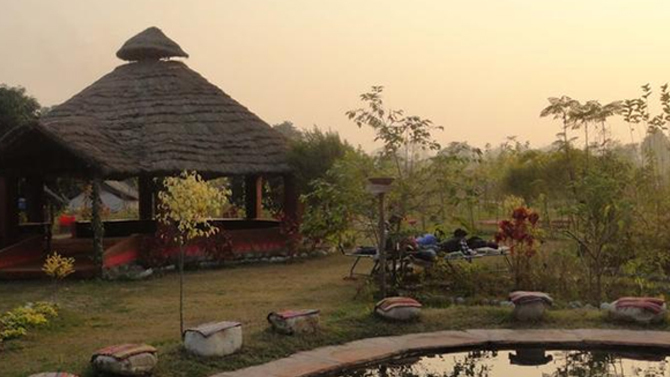 Located right in the middle of Jim Corbett, the campsite offers an unusual accommodation in American tents. Unlike usual camp sites, there is no scope of electricity, oil lanterns come to rescue during the evening. Safari is just not meant for the faint-hearted people. If not safari, here you can indulge in farming on organic fields, swimming in the nearby canal or play volleyball. 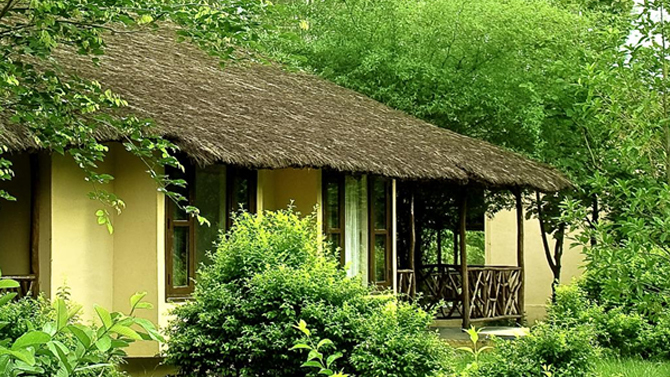 Here, the beauty and the wilderness of the Jim Corbett is elegantly captured. En route to the wild Jim Corbett National Park and back, a truly out-of-the-world experience awaits you at Camp Kyari. – All the accommodations in the campsite are available in Americal Tents. Every tent has a mat and sleeping bag, offering comfort amidst the meadows. – Accommodations also have an attached toilet tent with running cold water all day long. – Activities like swimming, rock rappelling, body surfing, harvesting and trekking, biking and water crossing are some of the activities organized by the authority of the campsite. – Restaurant of the camp serves scrumptious food made of organic vegetable, available at the nearby farming site. 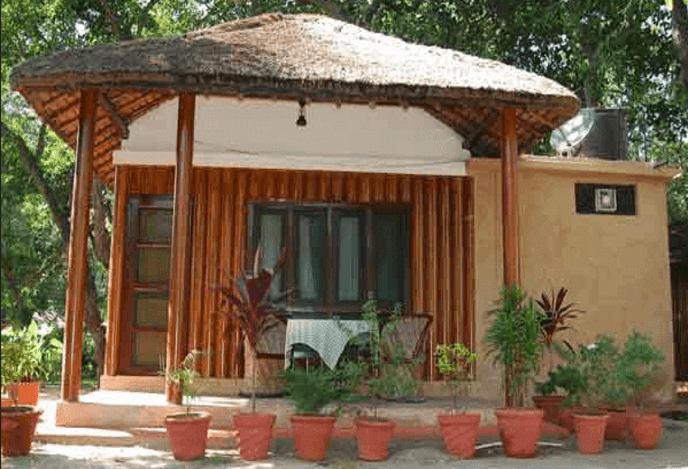 Corbett Jungle Lore Developed and crafted by Uttrakhand forest Development Corporation, Jungle lore camp is located quite close to the Bijrani zone of Jim Corbett National Park. The accommodation is built as per the theme of Indian Cottage and leaves a melancholic feel of staying in typical camps set during adventure tours. The sights nearby the camp are rustic especially during the monsoon when the foliage turns into red, green and blue. – All the tents are located at a small distance from each other, leading to privacy factor of the tourists. Each and every tent has opulent amenities for the tourists. – There is an in-house restaurant- Gol Ghar which serves scrumptious multi-cuisine food. – Rappelling, angling and rafting can be organized on request. 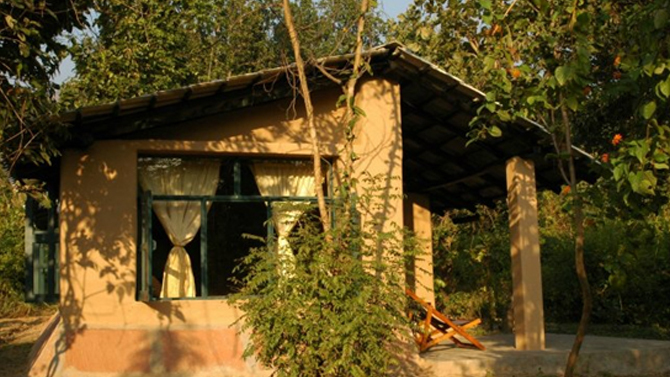 Camping in Jim Corbett is the best way to get in touch with nature and spot animals. So, what are you waiting for? Check out these amazing campsites for a peaceful holiday. Time for you to eat, sleep and breathe something.